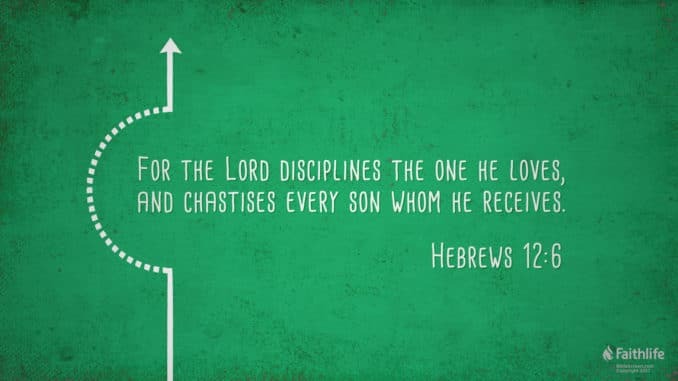 Today, C4C is meditating on Hebrews 12:4-12, which speaks of God’s discipline of His children. The author(s) of Hebrews cites Proverbs 3:11-12 while exhorting persecuted Christians — who may have been tempted to turn back to Judaism — to persevere in the Christian faith (Heb 12:1-3). Just as an earthly father lovingly disciplines his child in order to train his child to do what is right, so our Heavenly Father lovingly disciplines His children in order to train us to do what is right(eous). Therefore, as strange as it may seem, the author(s) of Hebrews tells the recipients that their hardship is actually proof of God’s Fatherly love. Hebrews 12:6 is a clear citation of Proverbs 3:12, which is almost identical in the Septuagint (LXX) — the Greek translation of the Old Testament. The only difference appears to be the fact that the LXX has ἐλέγχει instead of παιδεύει (one can compare the bolded words). The only reason I did not opt for “receive with favor” or “receive hospitably” is because I wanted to preserve the terseness (i.e. short lines) and parallelism that characterizes Hebrew poetry. Barbara Aland et al., eds., The Greek New Testament, Fifth Revised Edition (Stuttgart, Germany: Deutsche Bibelgesellschaft, 2014), Heb 12:6. Henry Barclay Swete, The Old Testament in Greek: According to the Septuagint (Cambridge, UK: Cambridge University Press, 1909), Pr 3:12. 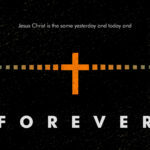 The New International Version (Grand Rapids, MI: Zondervan, 2011), Heb 12:6. William Arndt et al., A Greek-English Lexicon of the New Testament and Other Early Christian Literature (Chicago: University of Chicago Press, 2000), 749. Moisés Silva, ed., New International Dictionary of New Testament Theology and Exegesis (Grand Rapids, MI: Zondervan, 2014), 587–588. “Corresp. 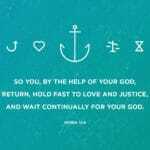 to רָצָה receive favorably=love (Pr 3:12)” William Arndt et al., A Greek-English Lexicon of the New Testament and Other Early Christian Literature (Chicago: University of Chicago Press, 2000), 761.
to accept the presence of a person with friendliness—‘to welcome, to receive, to accept, to have as a guest…” Johannes P. Louw and Eugene Albert Nida, Greek-English Lexicon of the New Testament: Based on Semantic Domains (New York: United Bible Societies, 1996), 452. “to accept the presence of someone in a hospitable manner.” William Arndt et al., A Greek-English Lexicon of the New Testament and Other Early Christian Literature (Chicago: University of Chicago Press, 2000), 761.